Join us at City View for a New Year of activities. Sign up for Robbie Burns Day festivities. Friends of residents and the public are always welcome. Just call or drop by to register! 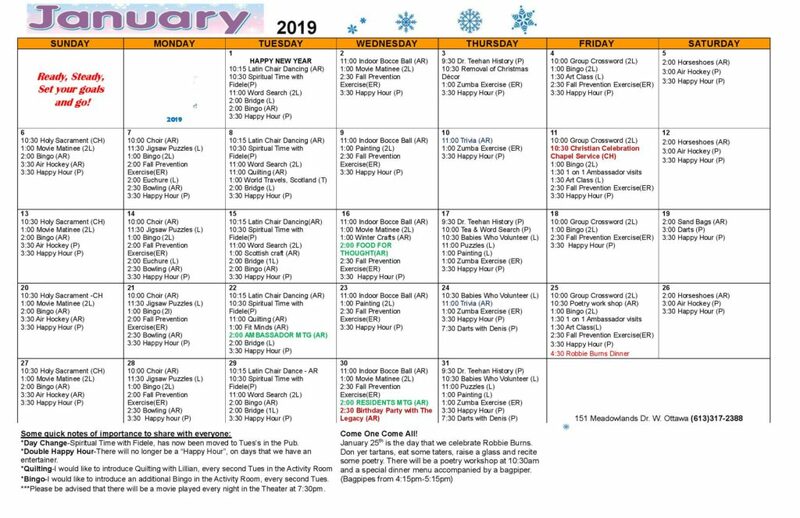 See below for this month’s activities. PDF Download Here.